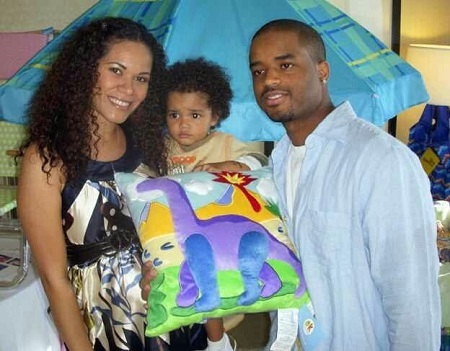 Home Article Tomasina Parrott And Her Husband Larenz Tate Are Living Happily With Their Children; Know The Secrets Of Their Happy Relationship. Tomasina Parrott And Her Husband Larenz Tate Are Living Happily With Their Children; Know The Secrets Of Their Happy Relationship. American actress Tomasina Parrott has a short but strong filming career with some of the best acting roles in the 2000s. Her professional life has a lot more to do with her personal life as her husband Larenz Tate is also an actor. After marrying Larenz Tate, Tomasina has taken a break from her career which is definitely not good news for her fans. Let's get into the details of her relationship with her husband. Tomasina is currently living a happy married life with Larenz Tate. Tate, the native of Chicago is not only an actor but also a producer, director, and co-founder of The Tate Bros. The couple dated for some time and then got engaged. The couple gave birth to their first baby boy Miles Xavier Tate on 29 July 2006. The couple later, married in a grand ceremony on 30 November the same year. Well, the blissful married life is embraced with happiness and wonders as the couple gave birth to their second child; a son Zander Tate on 27 June 2008 and the third one, Zion Tate in November 2013. "We have three boys. And for us, our children are truly our pride and joy. I’m out there. But when it comes to our children, our three boys, it’s okay to have some level of privacy." "I think compatibility and friendship. If you can have friendship, compatibility and true love…that for us are the ingredients for a successful marriage." "We don’t try to keep going by other people’s standards. What works in our household, may not work in the next household. We don’t try to get involved in everybody else’s business. It’s what we create and what we do that works for us." Furthermore, it's really tough to find any kinds of scandals about the couple. They are best described as a happy family. The pair were expecting a fourth baby who is on the way. However, nothing can be said about the delivery date as both of the parents haven't revealed it to the public. They were seen celebrating their new baby recruit with their friends, family, and vendors. Actor Bill Bellamy and his wife Kristen were seen hanging around with the couple and on her, Instagram shared a picture of them where Parrott was seen with a cute baby bump. She even captioned the photo with boy number 4 in the oven so the fourth child might also be a boy. We are keenly waiting to hear the good news soon enough and I guess so are you. Tomasina isn't active on social sites so it's difficult to get the details about the gorgeous lady. Though she has a short-lived filming career, she made a huge impact on her fans. She's renowned for her roles in Along Came Polly in 2004. She portrayed the role of a salsa dancer in the very movie. 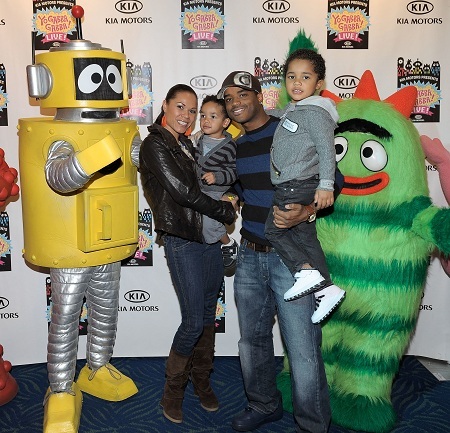 Larenz Tate and family enjoying a vacation. It was the same year she performed in Starsky and Hutch as a cheerleader. In 2005, she performed in Miss Congeniality 2: Armed and Fabulous playing the role of a Drag club dancer. Furthermore, she was also featured in Rock Star in 2001 where she played the character of a Roxy dancer. She was also seen on the TV series Las Vegas in 2005 and in the movie The Onion Movie as Melissa Cherry Video Dancer. Don't Miss; Margaret Brennan; see her Married life with Husband Ali Lyad Yakub. Any Divorce Rumors? Well, all of her roles to date have an impact on her career as a choreographer. She has choreographed various dances in the 2003's TV show Cedric The Entertainer Presents. It seems that the gorgeous diva is completely focused on her family life as she's barely seen in movies and TV appearances since her marriage. Born on 3 January 1977 in the United States. Best known for Starsky & Hutch (2004) and Along Came Polly (2004). In 2005, she played in Miss Congeniality 2: Armed and Fabulous. Besides an actor, she's also a dancer and choreographer. Stands at a height of 5ft 7in. Her husband Larenz Tate is estimated to have a net worth of $4.5 million.